Ableton Live is software for creating musical ideas, turning them into finished songs, and even taking them onto the stage. With two views - the classic Arrangement View, where musical ideas are laid out along a timeline, and the unique Session View, where you can improvise and quickly experiment with musical ideas - Ableton Live is a fast, fun, intuitive way to make music. 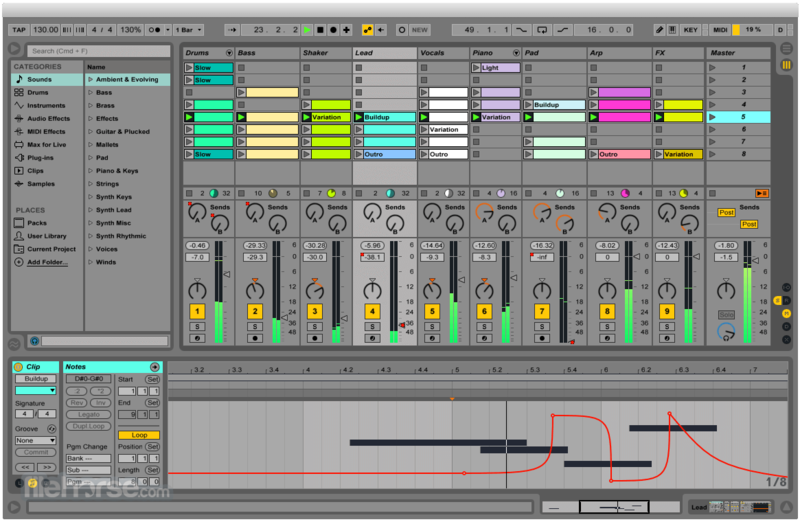 Ableton Live 9 comes in three editions: Intro, Standard and Suite. The editions share common features, but Standard and Suite have additional features, Instruments, Packs, and Effects. A software music sequencer and digital audio workstation for Windows! Note: 30-day trial version. Limitation (saving and exporting are disabled).